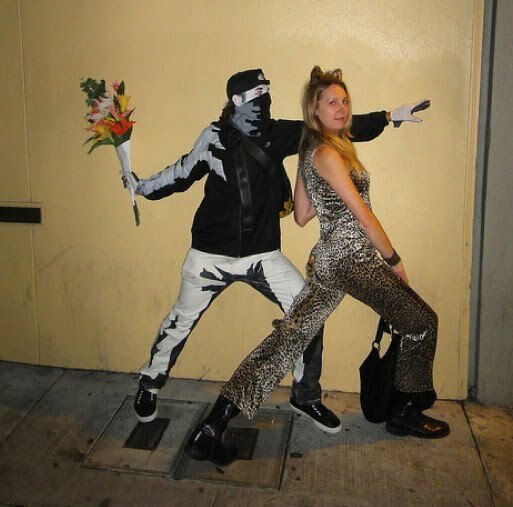 If It's Hip, It's Here (Archives): The Best Halloween Costume Ever! 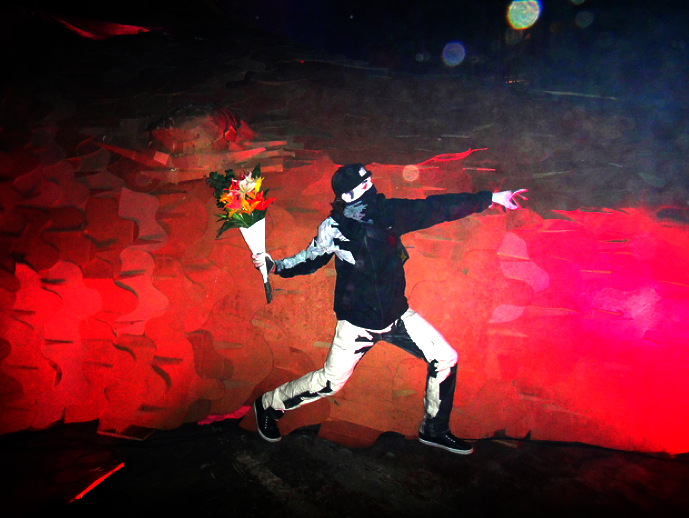 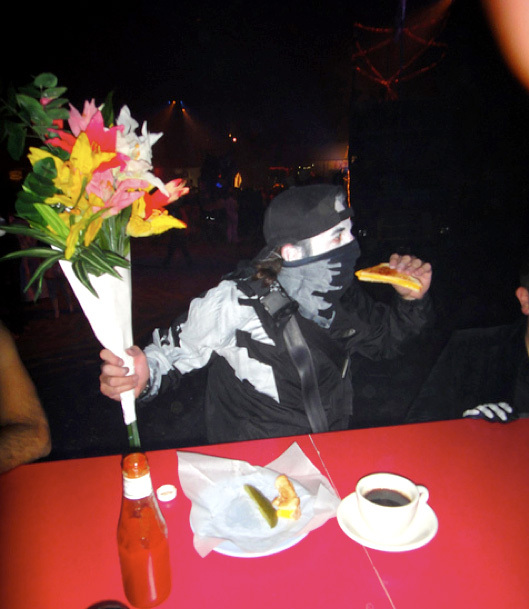 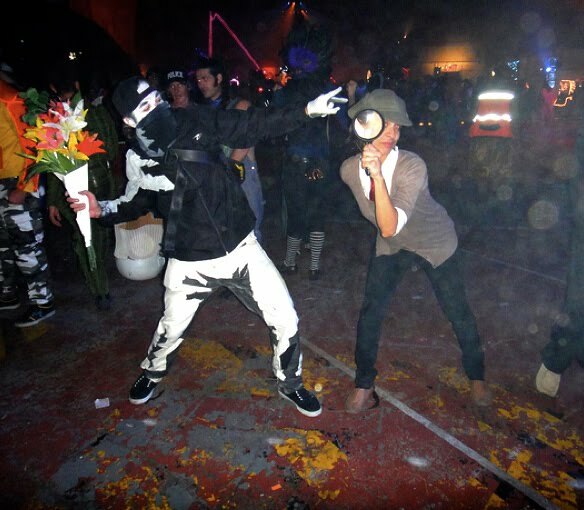 Banksy's Flower Thrower Comes To Life. 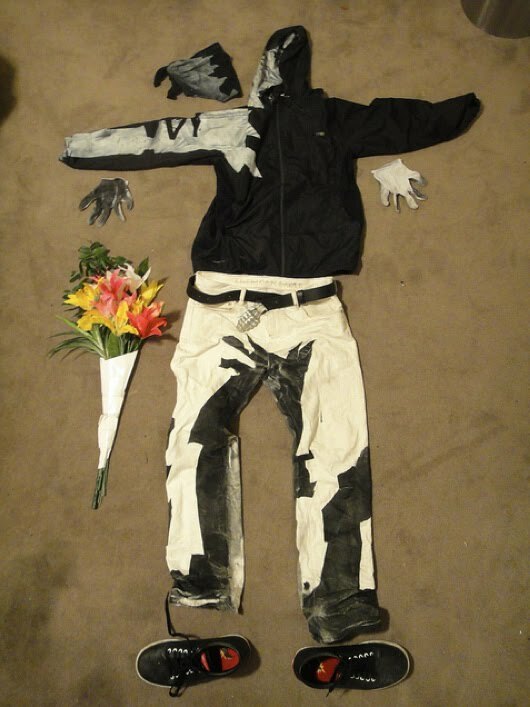 The Best Halloween Costume Ever! 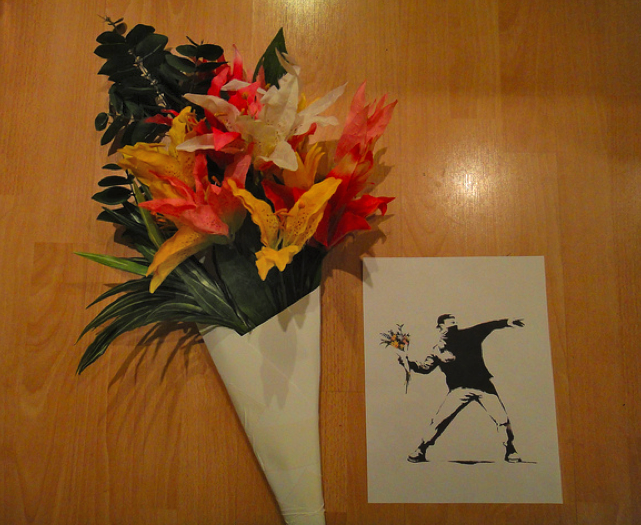 Banksy's Flower Thrower Comes To Life. 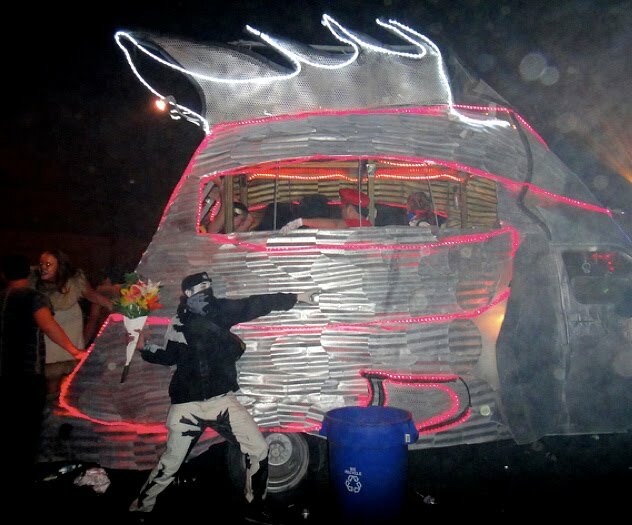 The Design Director of San Franscisco's Y Studios, Pittsburgh born George Schnakenberg III, gets my vote for the best Halloween costume I've seen in years. 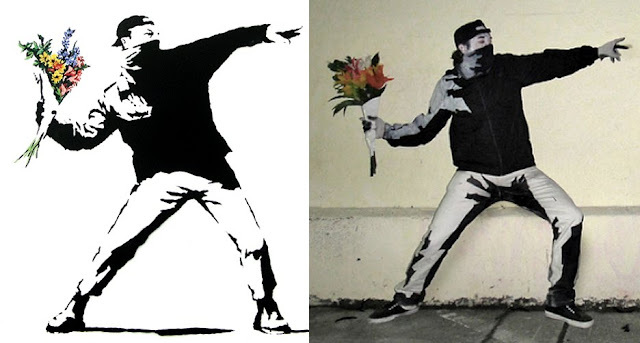 With ample design skills and impressive execution, George turned one of stencil street artist Banksy's most famous works, The Flower Thrower, into a full costume designed to emulate the 2D image. 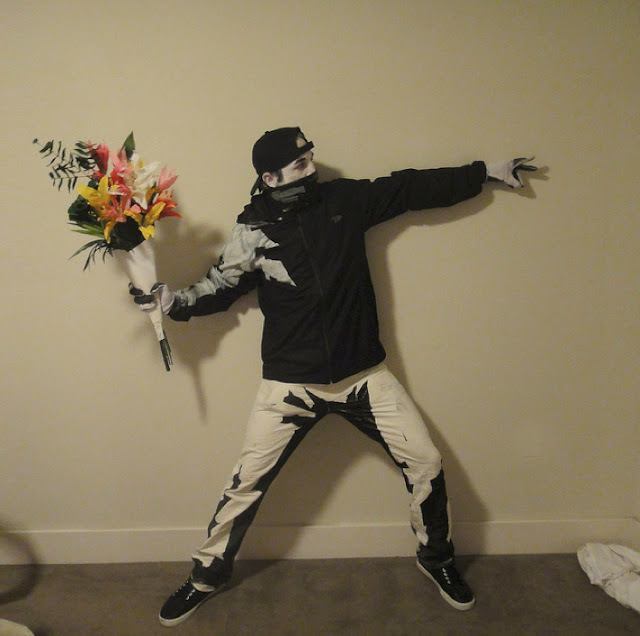 above: George created the flat looking outfit by creating black and white shadows on his pants, hoodie, bandana and gloves. 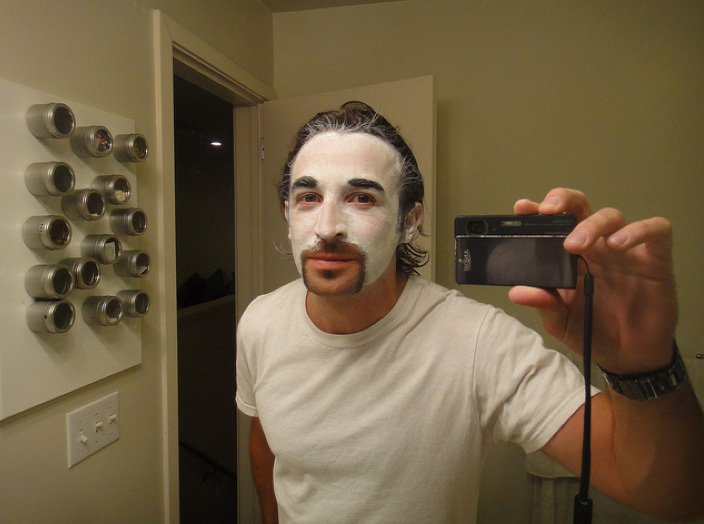 You've set the bar really high and I can't wait to see what you do next Halloween. 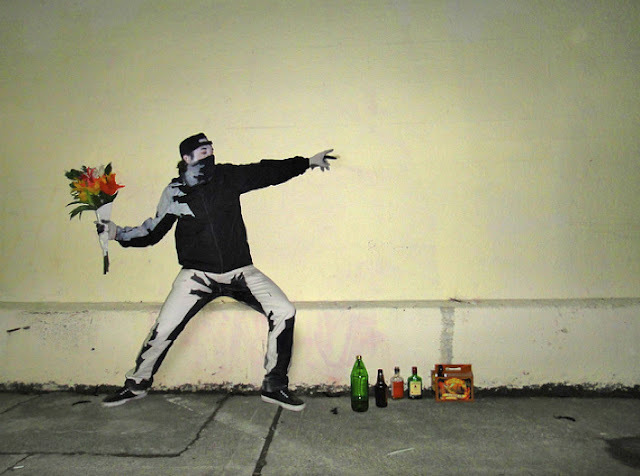 Nice and wonderful post. I appreciated it. 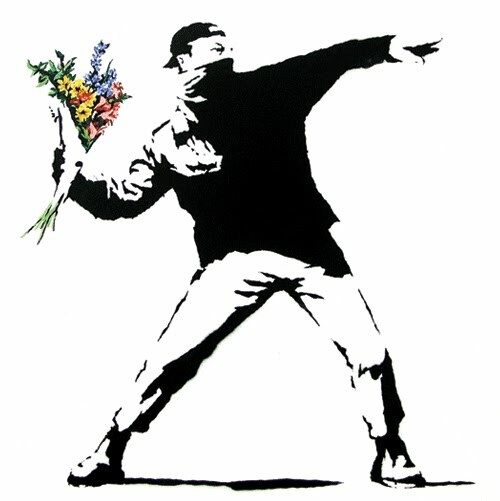 Thank you and keep posting.